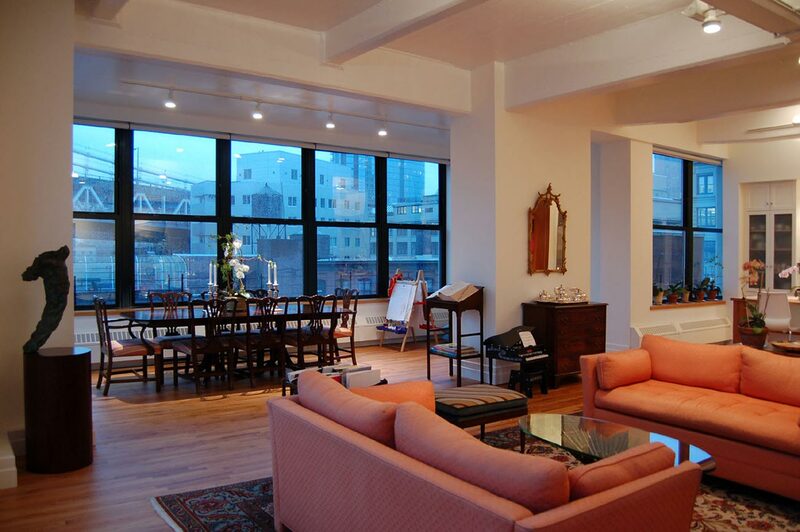 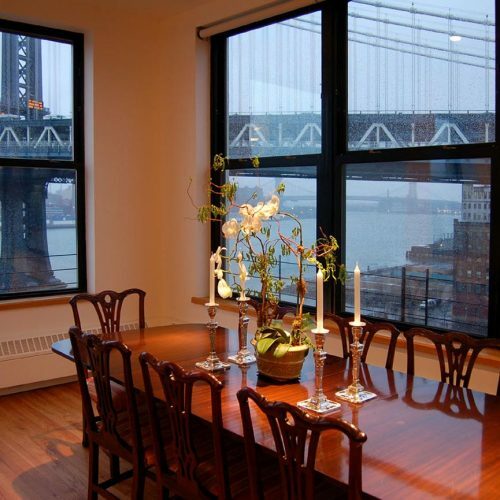 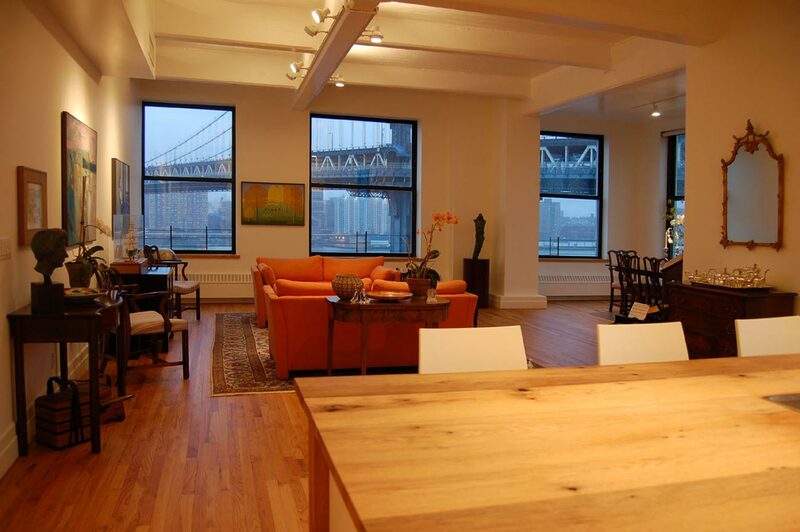 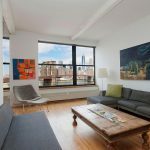 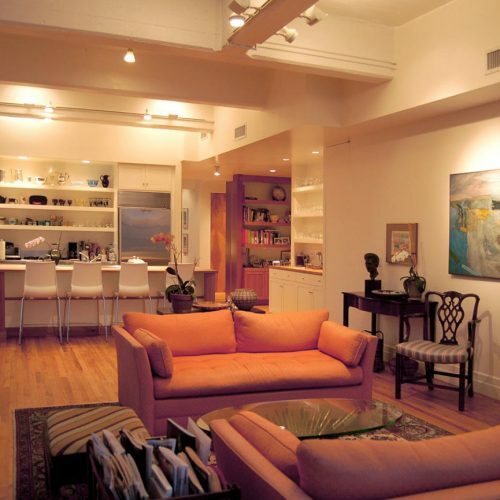 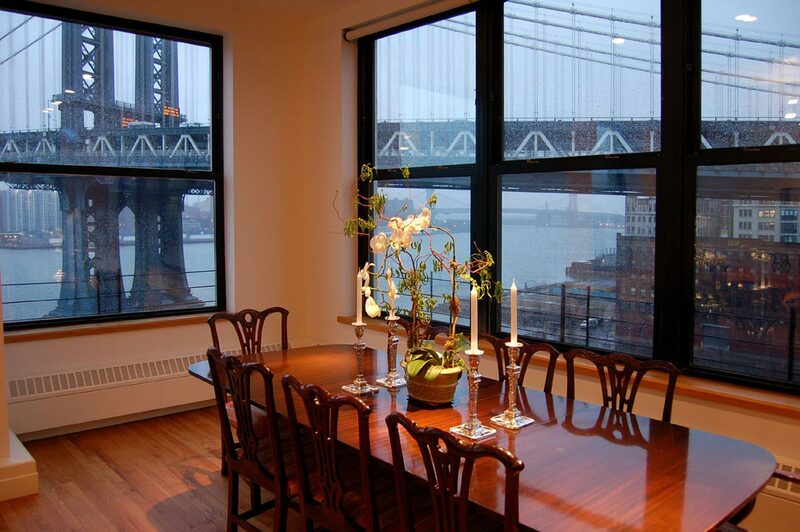 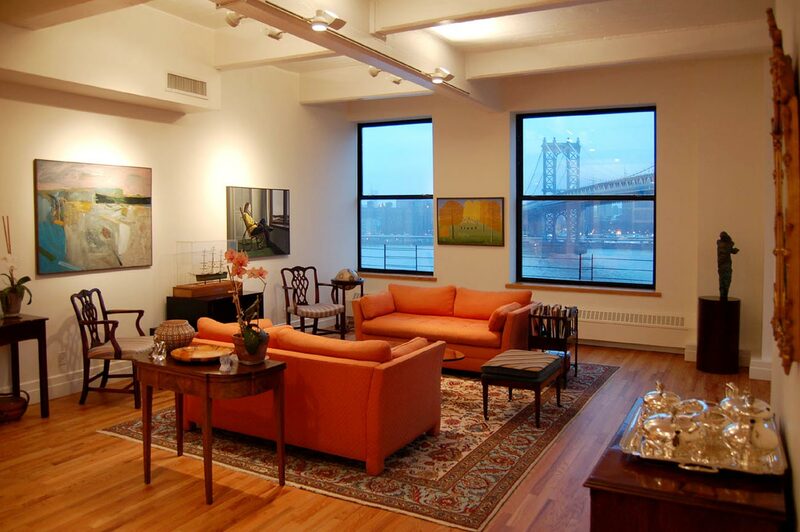 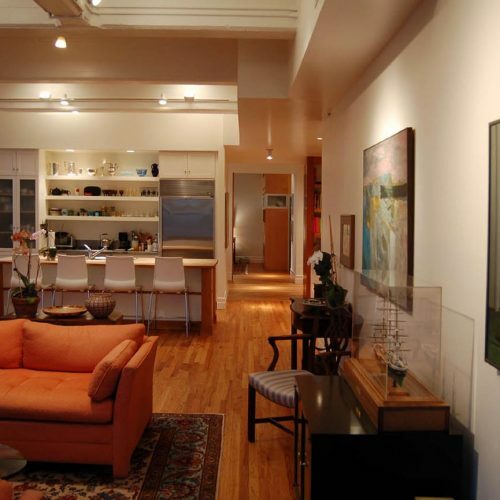 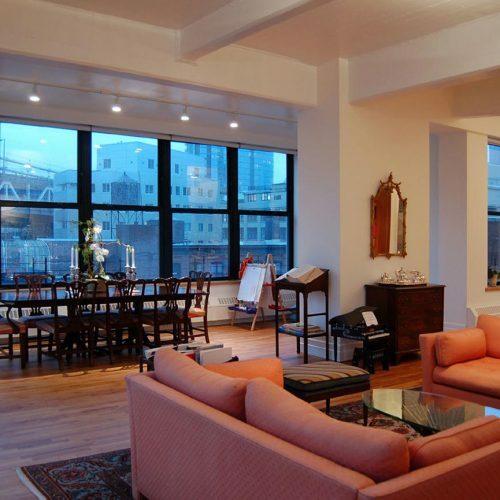 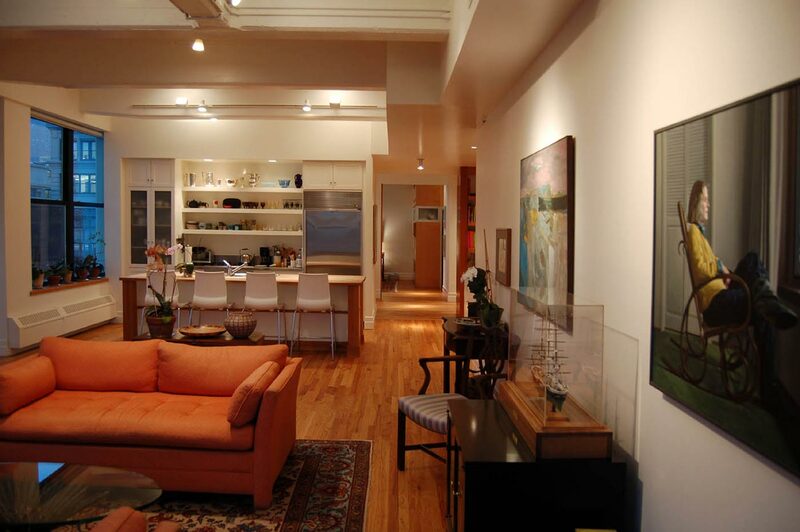 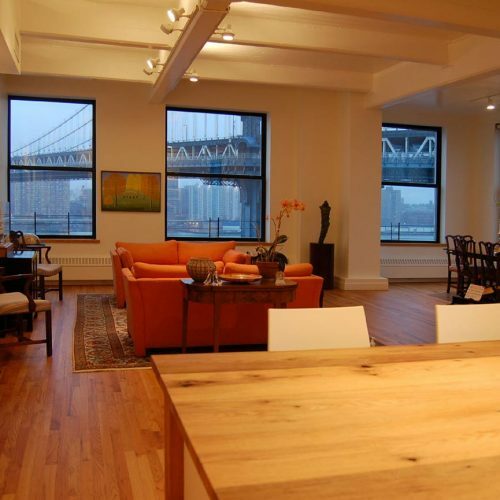 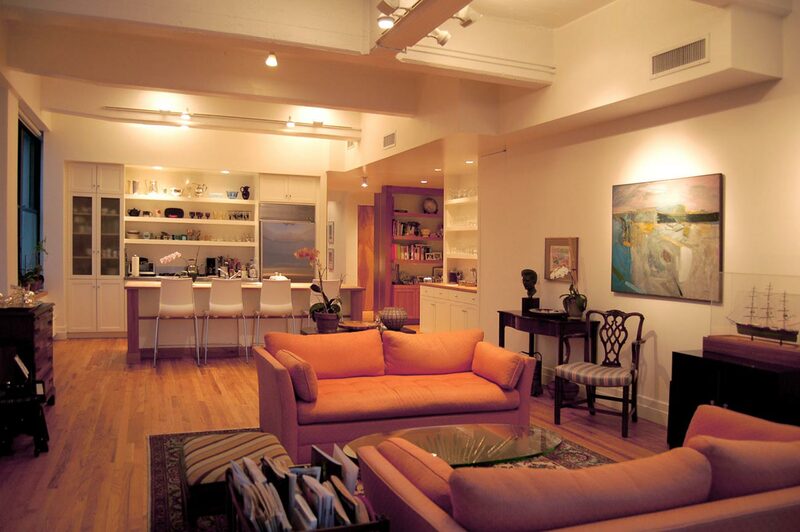 A corner unit with views over the East River and to midtown Manhattan. 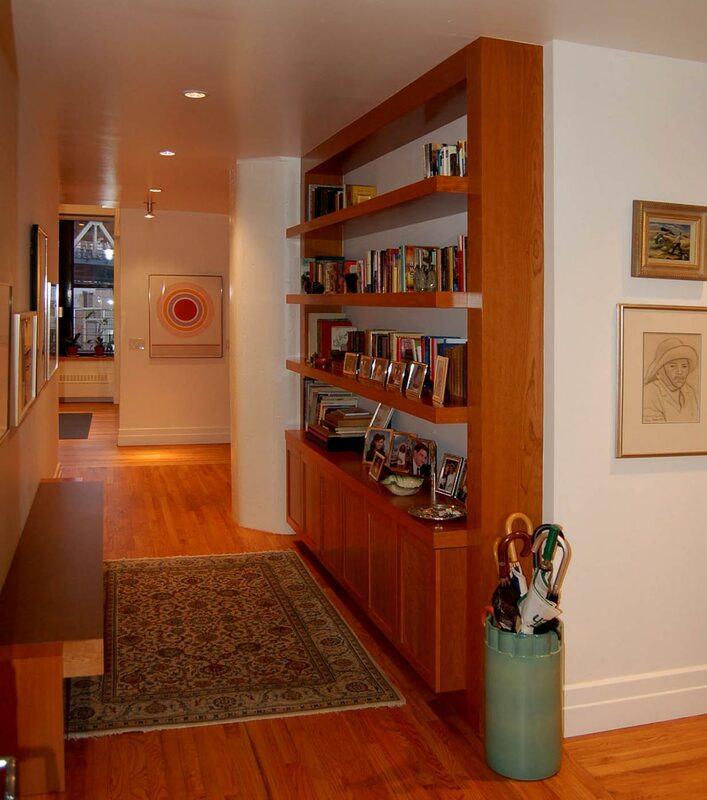 The large interior renovation removes walls for improved circulation and connection between private zones and open areas. 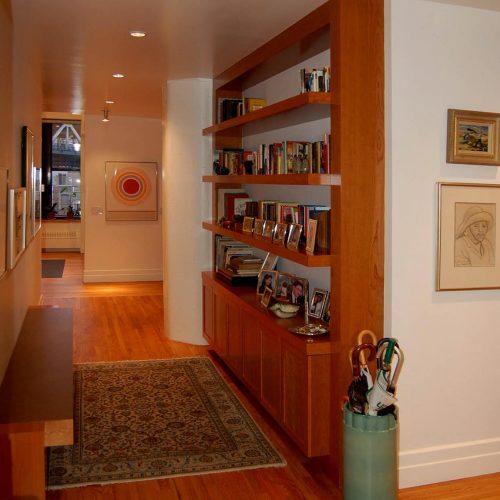 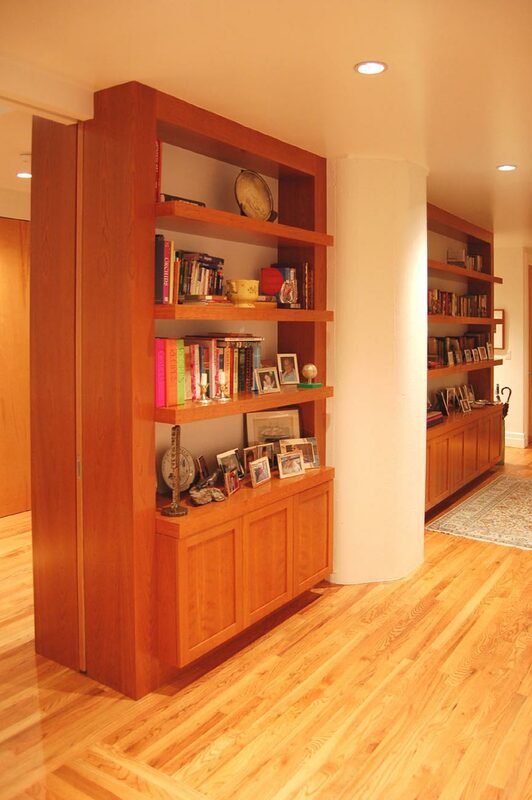 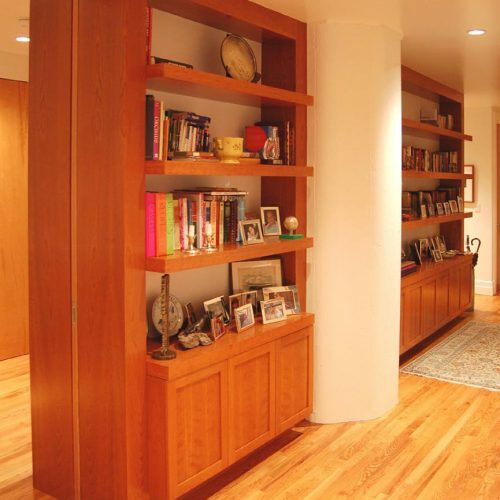 Custom sliding panels integrate within new custom cabinetry and bookshelves to appear invisible. 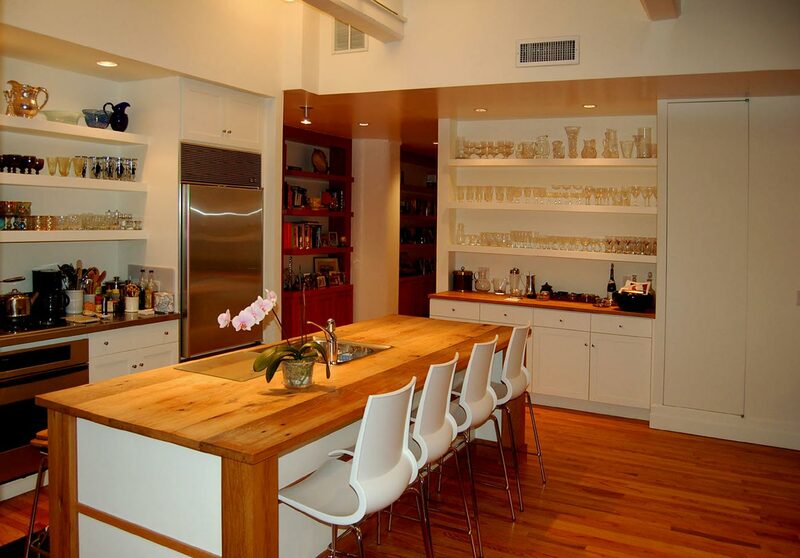 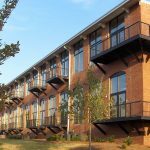 Level 5 painted wall surfaces, painted exposed concrete ceilings, wood veneer, wood floors, custom cabinetry and bookcases, sliding panels, integrated lighting.